A sleepover invitation! Your kid is about to embark on a lifelong adventure known as Sleeping At Other People’s Houses! You will have an evening to yourself! If you’re very lucky, the sleepover will be scheduled on a weekend to maximize your free time. Make sure you pack a sleeping bag, a favorite pillow, and unable-to-sleep-without toy. Throw in the Bible, because how can it possibly hurt? Unpack the pillow and the unable-to-sleep-without toy ten minutes later. Because your kid needs them to sleep with that very night. Wait a minute, how well do you know these people? Call the other parents to apologize, but you read an article about gun safety and could she please reassure you that they do not keep guns in the house? Oh, but they’re unloaded, right? Whew, what a relief. Haha, well, can’t be too careful, you know. Repeat the phone calls as necessary with other concerns as they come up, such as Do you have bed bugs? And Where Do You Stand on Corporal Punishment? And what about High Fructose Corn Syrup in over-the-counter snacks? If for some reason your calls start going straight to voicemail, resort to email. Or perhaps a friendly yet unscheduled pre-sleepover visit to their home will give you the answers you need. As the sleepover approaches, discuss What to Expect with your child. Let your kid know that you are a phone call away, but set some ground rules. Tell her that she can call you to check in and to say good night, but that if she calls you after a certain time (I recommend 11 pm), you will come to pick her up and take her home. This will avoid the “ok, I’ll try to sleep”-but-will-probably-call-you-in-five-to-eight-minutes” routine that loses its charm by the second phone call. Drop off your kid! Start to rejoice! While waiting for your phone to ring. Come back tomorrow when Marinka tackles How to Host a Sleepover. Do you know what MOAON AABE means? Yeah, I should figured that out before I sent the girl for her sleepover at this wonderful neighbors house. I was an idiot and through it was some type of Chemical Engineering honor society. So yeah, when magoo came home and told me her friend showed her the parent’s guns in the closet I should have been concerned. But now that I know that this is NOT, an honor society, I am pretty sure that there are more guns down there. Because I have heard of homes where there is NO parental control or lockups on the computer. 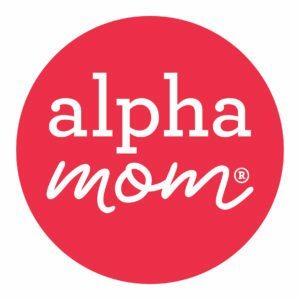 Happy to see you here at AlphaMom. My kids haven’t been invited to a sleep over yet. But I think my husband was once at the gym. So…at what age did you start this sleepover process? My 6 yr old son called from his first sleepover & asked me to pick him up. I did. He said he was scared. Nothing specificly scared him. Now he says he doesn’t want to sleepover anyone’s house. I do wish he’d sleep at Grandma’s. I’m so nervous about my daughter’s first sleepover. I’m trying not to be so overprotective but I can’t help it. I don’t mind sleepovers. It’s the kids I have problems with. A child’s first sleepover is a fantastic learning experience, absolutely. Everyone needs to learn how to let go of those apron strings (does anyone wear aprons anymore? maybe we should say “power cords” instead? )… but there is one small problem with this otherwise spot-on post. One should never, ever, EVER host a sleepover. Invoke near-death relatives, virulent infestations of bugs, horrifying allergies, whatever it takes. But keep those sleepless children out of the house. Let that letting-go-of-the-power-cord experience happen in someone else’s living room.